Samsung Galaxy Note 3 Preview - The King of Phablets is back! Samsung Galaxy Note 3 Preview – The King of Phablets is back! Finally, the much awaited, oft leaked and hyped Samsung Galaxy Note 3 is here! As expected, it’s larger and thinner than its predecessors, but unfortunately still carries a similar design. Of course there are a couple of changes in terms of design and build, we’ll get to that just in a bit. Everything that made the Galaxy Note series a hit is still there and has been made better, so the S-pen just got even better and so did everything else. If you’re not a fan of supersized handsets this might just sway your opinion, because instead of just oversizing everything, the extra real estate has been made use of. 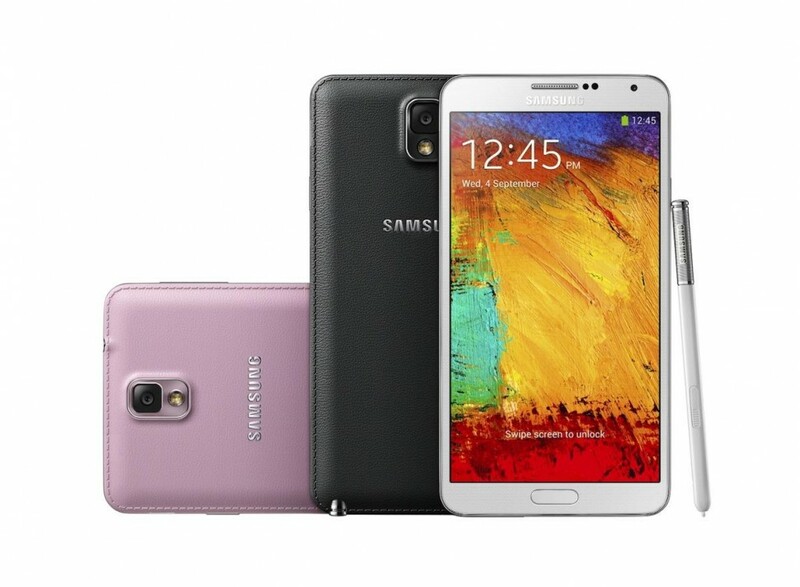 Read on for more about the new Samsung Galaxy Note 3! It’s safe to say that Samsung has gone all out to make the Galaxy Note 3 the most powerful phone, with those specs. The Exynos Octa SoC that will be used in the international version of the phone is an evolution of the one found on the Galaxy S4, and will run on the same principle. Even though advertised as “octa”, the SoC will only let either 4 high powered or 4 low powered cores run at a time, for better battery efficiency. The camera unit is also carried over from the Galaxy S4, and has 4K resolution video recording capability. It’s got all the other features you’d expect from a flagship smartphone, including NFC, Bluetooth 4.0, LTE and whatnot. The 3200 mAh battery is a boon, and should be able to continue the tradition of great battery life. Plus, Android 4.3 comes preinstalled, unlike other just launched flagships, the Acer Liquid S2 and Sony Xperia Z1. However, no matter what specs a phone has, it’s very important for it to also offer something that its competitors don’t, and that’s where Samsung has done great. The trademark Galaxy Note series feature, the S-pen has been upgraded and lets you do much more. After the S-pen is removed from the dock, a new Air Command menu pops up that lets you do great stuff like note down a number and directly call it, or highlight a section to edit/share/perform advanced functions on and there’s of course the standard scrapbook functionality that’s now more integrated with Evernote. Speaking of which, all Galaxy Note 3 owners get a free year of Evernote Premium. A nice new feature is the S Finder, which lets you search your handwritten notes for emails, numbers etc. The last new major feature is called Pen Windows, which is activated after you select the option from Air Command and draw a rectangle or square on the screen. A couple of apps capable of running in that windows are then presented, which can be used to multitask and resized as you like. The multi window feature has also been updated, and now lets you run 2 instances of the same app at once. And finally, the S-pen will also be usable through the little open screen space on a flip cover. Now we come to the important part, launch date and price. The Galaxy Note 3 will hit stores by the 25th of September globally and somewhere around October for North America and Japan. It will cost a little more than the Galaxy S4 ($800 unlocked) and will probably be around Rs. 42,000 or so in India. So that was our Samsung Galaxy Note 3 preview, do let us know what you think of it, and of course, the phone (phablet? )!